1. Thermal Equilibrium and Zeroth Law; 2. Scale of Temperature; 3. Specific Heat; 4. Heat and Work: First Law of Thermodynamics; 5. Properties of an Ideal Gas: Specific Heats: Isothermal and Adiabatic..
1. 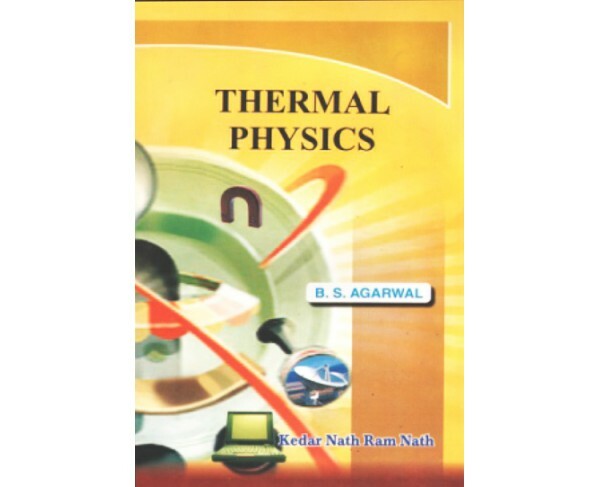 Thermal Equilibrium and Zeroth Law; 2. Scale of Temperature; 3. Specific Heat; 4. Heat and Work: First Law of Thermodynamics; 5. Properties of an Ideal Gas: Specific Heats: Isothermal and Adiabatic Processes; 6. Kinetic Theory of Gases : Equipartition of Energy; 7. Theory of Specific Heat of Solids; 8. Mean Free Path and Transport Phenomena; 9. Maxwell's Molecular Speed Distribution in an Idea! Gas : Brownian Motion; 10. Van der Waal's Equation of State : Critical Constants; 11. Joule Kelvin Effect: Liquefaction of Gases : Adiabatic Demagnetisation : Liquid Helium I and II; 12. Heat Engines : The Second Law of Thermodynamics;! 3. Thermodynamics of Change of State : Triple Point; 14. Entropy; 15. Entropy and Disorder; 16. Maxwell's Thermodynamic Relations and Their Applications; 17. Thermodynamic Functions; 18. Heat Conduction; 19. Radiation. STATISTICAL PHYSICS: 1. Permutations and Probability; 2. Phase Space Representation; 3. The Beta Parameter and Some Standard Theorems; 4. Maxwellian Distribution in an Ideal Gas.